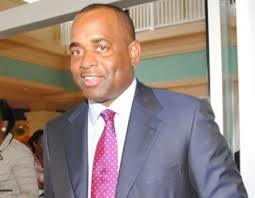 Roseau, Dominica – Thursday, May 7, 2015 – Prime Minister of Dominica the Honourable PRIME MINISTER SKERRIT will leave the state on Friday, May 8, 2015 to attend the Caribbean – France Regional Summit. The Caribbean – France Regional Summit on Preparation for and Mobilisation for the 21st Session of the Conference of the Parties (COP 21) to the United Nations Framework Convention on Climate Change (UNFCCC) is being held in Fort-de-France, Martinique on Saturday, May 9, 2015. French President H.E. Francois Hollande will chair the one day summit. Prime Minister Skerrit who is also Chairman of the Organization of Eastern Caribbean States (OECS) will address the opening ceremony of the summit along with President Hollande; President of the Regional Council of Martinique – H.E. Serge Letchimy; Chairman of the Caribbean Community, CARICOM and Prime Minister of the Bahamas – Honourable Perry Christie; and Secretary General of the Association of Caribbean States (ACS) – H.E. Alfonso Múnera. Prime Minister Skerrit will lead discussions at the summit on the subject “Sustainable Development and Renewable Energy”. The Prime Minister will also hold bilateral discussions with the French President. Dominica and France have enjoyed excellent bilateral relation over the years. Prime Minister Skerrit will attend the Inauguration Ceremony of the Caribbean Centre for the Testimony and Remembrance of Slavery and the Slave Trade (ACTe Memorial) on Sunday, May 10, 2015 in Pointe-a-Pitre, Guadeloupe. Minister for Planning, Economic Development and Investment Honourable Dr. John Collin McIntyre will act as Prime Minister while Prime Minister Skerrit is out of state.